You'll receive one crucifix and centerpiece. Both beautifully detailed and made in Italy. Center: Double-sided, goldtone St Benedict center measures 3/4" high. 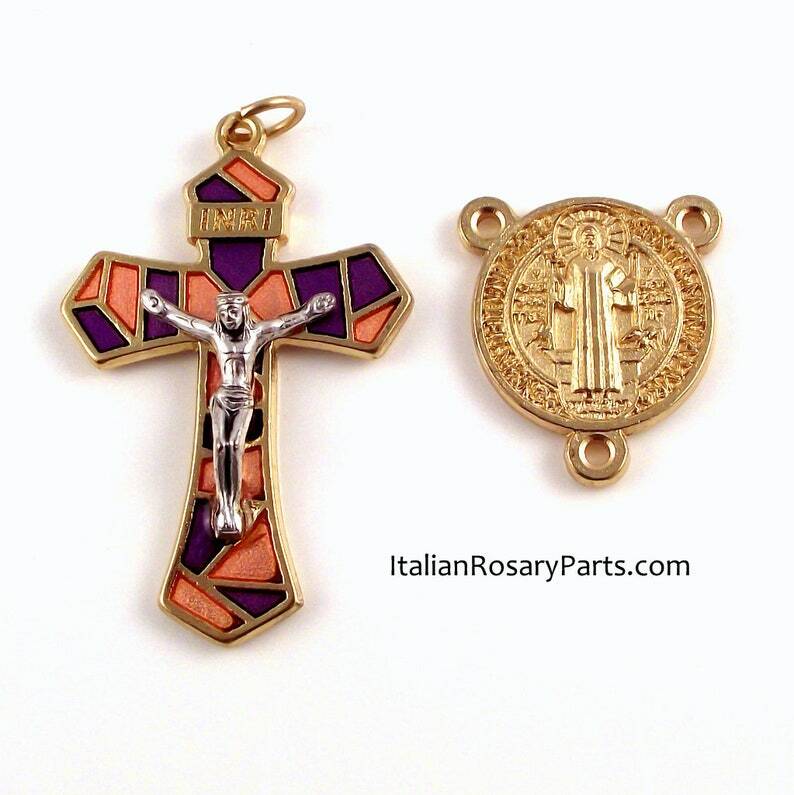 Crucifix: Goldtone, stained glass style with purple and peachy-pink enamel. Measures 1.75" high including the loop.